I’m cruising the aisle looking for some New Balance. I make a wrong turn. I’m a Chapstick kind of girl and I now find myself in the lipstick-chick aisle. I don’t have a passport for this. I don’t think I’m allowed in here. I can’t even walk in pumps. I feel a little out of place. 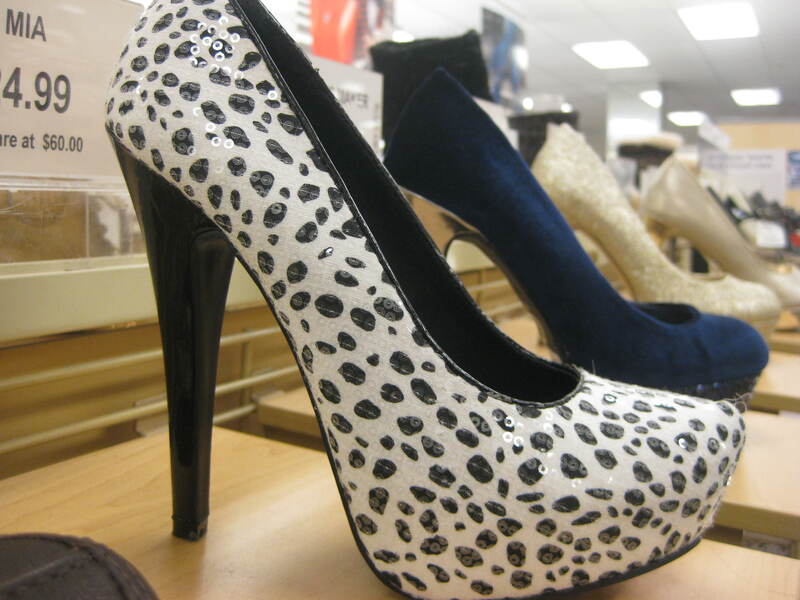 Six-inch heels … definitely foreign.